It is not just okay to exercise with diabetes—we encourage it! Staying fit and active can lower your blood glucose level and help you manage your symptoms, among other benefits. However, given the increased risk of injuries or infection due to nerve damage and circulatory problems, those with diabetes need to choose fitness activities carefully. Aerobic activities that get your blood pumping come highly recommended for resisting peripheral artery disease. In addition, strength training exercise twice per week helps keep muscles and bones strong. If you have some sensation loss in your legs, lower-impact activities like brisk walking, cycling, and swimming are great choices. Foot ulcers may mean seeking other options—you don’t want to aggravate them. Don’t have a lot of time for dedicated exercise? You can still incorporate more motion in your day-to-day activity: take stairs instead of the escalator, take a brief walk once per hour, etc. For more helpful tips, read our blog, or give us a call at (510) 483-3390 to set up an appointment with the experts at Foot Doctor of the East Bay. Come see how we can help you manage your diabetes symptoms and keep you on your feet. Blood sugar levels affect your feet in several ways. Heightened levels of sugar in the blood can cause arteries and blood vessels to harden and narrow, restricting blood flow. Since the arteries leading to your legs and feet are especially long and far from the heart, they are especially vulnerable. Restricted blood flow means less oxygen to muscles and nerves. The result can be nerve damage (neuropathy) that causes numbness, burning, and pain, as well as decreased ability to heal wounds and fight infection. When combined, these complications dramatically increase your risk of not detecting cuts, scrapes, and sores. They may turn into severe ulcers and experience tissue decay that may even require amputation. If you have diabetes, carefully managing your blood sugar can help you delay or even prevent development of these symptoms. Just remember to check your feet carefully and call the experts at Foot Doctor of the East Bay if you notice any trouble signs, or need regular diabetic foot care. Dial (510) 483-3390 to set up an appointment at one of our three convenient Bay Area locations. You should seek treatment for Charcot foot immediately. This cannot be stressed enough. Charcot foot is one of the most serious complication of neuropathy and blood vessel damage in the feet and legs. Poor circulation weakens bones, immunity, and natural healing processes; nerve damage can render you incapable of feeling any pain or sensation even as bones crumble, joints disintegrate, and serious deformities warp the shape of your feet and ankles. If you notice any of the early signs—redness and swelling in the feet, or skin that’s warm to the touch—call Foot Doctor of the East Bay immediately. The earlier this condition is diagnosed and treated, the better chance we will have at correcting the damage, preventing serious deformities from occurring, and saving your toe, foot, or even entire lower leg from amputation. Dial (510) 483-3390 to reach us at any of our three convenient Bay Area locations. Preventing Charcot foot doesn’t have to be difficult, but it does require a lifelong commitment to careful, regular self-care. Don’t get lazy with regulating your blood sugar. Over time, poorly managed glucose levels will slowly and progressively damage your nerves, and when your feet can no longer sense that they’ve been injured, serious complications become much more likely. Regardless of your level of sensation, make sure you always wear protective, comfortable, well-fitting shoes to avoid injuries. Inspect your feet thoroughly every day (use a mirror, camera, or loved one if necessary) and note any changes that could indicate a problem. 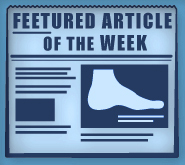 Charcot foot usually begins with redness, swelling, and warm skin. Finally, be sure to schedule regular check-ups with your general practitioner, as well as Foot Doctor of the East Bay. Our experts, Dr. Michael Stein and Zeindelin Ahmad, DPM, proudly provide the highest quality diabetic foot care to patients throughout San Francisco, Oakland, San Jose, and the entire 9-county Bay Area. Give us a call at (510) 483-3390 or visit one of our three convenient locations to schedule an appointment.